Here at Carers Elite we appreciate and strive for excellent staff feedback. If our staff aren't happy, neither are we. Cant thank Jonathon enough, he was professional, friendly and everything was sorted so quickely and I cant wait to start my new job next week. recommending Jonathon at Carers Elite. Since working at Carers Elite, I have finally understood how it is to work within a fully functioning team that treats their staff fairly and makes them feel completely appreciated. One of the best things about Carers Elite is that they provide us co-workers with feedback after every shift so that we can continue our professional development and know where we need to work on our skills and this helps us to progress. Jonathon is completely professional yet friendly and you feel at complete ease. This means that you can have a great working relationship with him, which makes going to work a pleasure instead of a chore. I have always been made to feel like a valued member of the team and have always felt as though I have made a difference after finishing a shift. Through Carers Elite, I have completed much in-house training and I feel like this has helped to shape me into a competent carer with a wide range of skills. We are always given the opportunity to enhance our knowledge and undertake further qualifications. 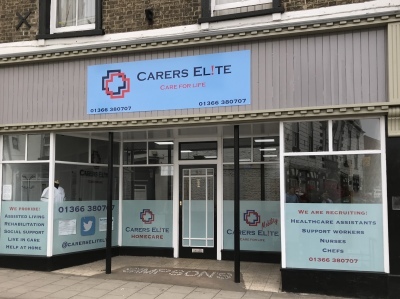 If a member of my family ever need to have care, I would not hesitate to contact Carers Elite as I truly believe that there is no better local care agency that cares as much about their clients as this. I am genuinely so proud to be a part of Carers Elite as it is about time that there is a care company with the staff involved for all of the right reasons instead of just seeing it as a job and to earn money. Each carer/nurse treats every individual with the upmost respect and have a passion for their career. Would recommend Carers Elite at any given opportunity.